Work can be a huge cause of stress. Stacks of emails, bottomless to-do lists and the pressure to excel are just some of the things that can make us want to bury our head in the sand. 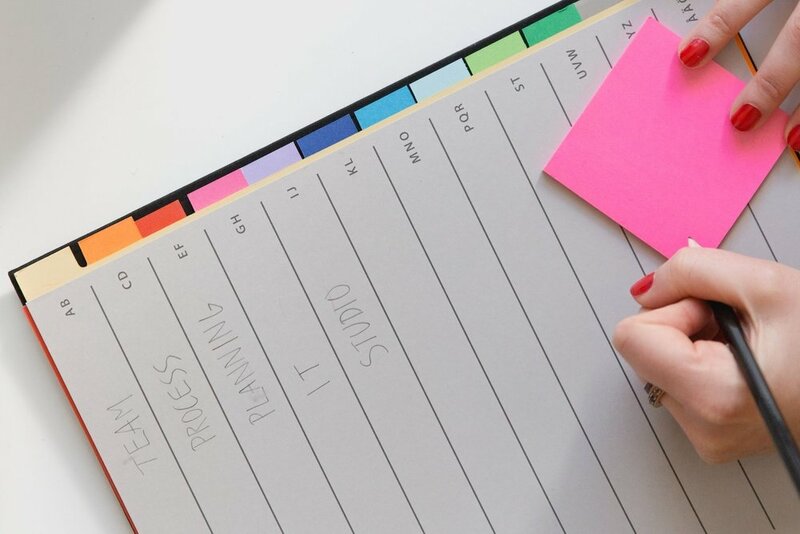 Besides talking to your colleagues and seniors for in-house solutions, here are some small steps you can take to make each work day a little easier. Mindfulness is about being focused on what is happening in the present moment. Research suggests that up to 45% of our time each day may be spent ‘mind-wandering’, which is when we are thinking about something that we are not currently doing. Being able to focus on the present moment is often difficult in the workplace due to our workload and task lists. Sometimes your work can seem insurmountable. Not knowing where to start or feeling overwhelmed by the volume of your work is a fast track to stress. One method you can try to prevent this getting out of hand is to break larger tasks down into smaller targets or stages. This will help you to focus on the task in hand, step by step. Each part you complete will feel like a small victory and help your brain to process the overall project easier. Although it may not fit every scenario, you can also look at making your objectives SMART (specific, measurable, achievable, realistic and completed within a set timeframe). This may help you to break your workload down into a manageable format. Being realistic with what you can do in the time that you have can lighten the perceived burden. The idea of taking a break from a busy work schedule can be a difficult thing to comprehend. It's easy to feel that you don't have the time to spare. Moving around could make you more productive, though. Take the analogy of sharpening a saw: You see a man trying to cut down a tree with a blunt saw, so you suggest that he sharpens his saw to complete the task quicker. However, the man tells you that he can't stop to sharpen the saw because it takes time. If only he'd taken a break and re-channelled his focus; he may have done the sawing quicker and better. Being active is a great way to start the day positively and give you energy. Alternatively, you could use your lunch break to go to the gym or do a short yoga workout on YouTube, which will give you a real mood boost and relieve stress. Physical exercise uses built-up stress hormones as a fuel source, so can be a great way to release tension. When we're stressed, we often create tension in our upper back and neck. By completing aerobic exercise as well as resistance training, we increase our body’s physical awareness of what muscle tension feels like. When the body is more aware of this feeling, it becomes a physical cue to take a moment to breathe and actively relax the muscles. Our energy levels can spike and plummet throughout the day, something which can cause irritability and lethargy – two signs of stress. Watch what you eat so that you can prevent the energy swings from being so severe. You can balance your blood sugar levels by eating regular nutritious meals that combine wholegrain carbohydrates and lean protein. Avoid sugary snacks, as these give you a short-lived burst of energy before being followed by a trough. Instead, try fruit, popcorn, crackers or hummus and carrot sticks. As a stimulant, caffeine can make you feel like it's given you energy when in fact it just increases your heart rate. This can lead to feelings of anxiety and stress. Caffeine consumed in the afternoon can impact on your sleep quality too, as it affects the areas of the brain responsible for recognising the need to sleep. Poor quality sleep will make relieving stress all the more difficult. Try swapping coffee for red bush tea, which contains antioxidants that help to provide you with energy without the stimulants, or caffeine-free teas. whose advice helped us to write this post.